Xin Zhao in Season 9 is one of the strongest junglers in the game, and if you're looking to stack some free LP he's your guy even in Patch 9.2. His latest build that everyone's using features Hail of Blades over the utility-based Sorcery masteries everyone was running in Season 8. Meanwhile, many players are opting to delay their Trinity Force and instead pick up heavier tank items in order to dive enemy players under turrets. Hail of Blades received a buff from 75%-125% to be a flat 110% increase in attack speed at all levels. More importantly, attacks that benefit from an attack reset no longer consumes a Hail of Blade stack. This means that Xin Zhao can use his Three Talon Strike [Q] reset and quickly stack up his knock-up before enemies can react. Before players starting using this build, most would go Phase Rush and emphasize on Xin Zhao's chasing ability via movespeed boosts. Otherwise, they would pick up Press the Attack and try and deal increased burst damage. This build mostly focuses on using his increased attack speed to take down enemies during the knock-up. 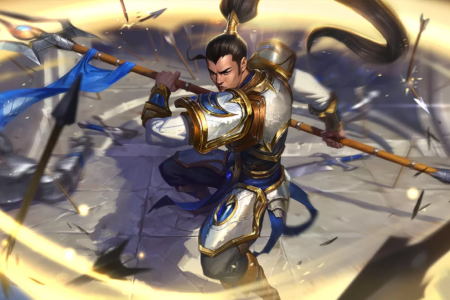 Xin Zhao is a champion that absolutely dominates the early game, but it somewhat more prone to being kited later on in the game. This version of Xin Zhao allows him to snowball through early game, but the build also gives him the ability to be a strong front-liner and diver if necessary. Most Xin Zhao's opt to pick up Trinity Force as their first item, and honestly speaking there's really nothing wrong with that. However, getting Sterak's into Guardian Angel gives Xin a lot more dive potential and room for error. His damage is already extremely high before T-Force, and kills are certainly easier with Hail of Blades than ever before. If Xin Zhao doesn't manage to get his knock-up on the enemy champion, this verison of Xin does have slightly lower chase potential without Phase Rush. However, generally speaking if you hit his slow after the enemy flashes you can catch up to them with ease. Xin Zhao's ability to completely dominate the early game is already extremely good. By playing him in this manner it only furthers his abilities. 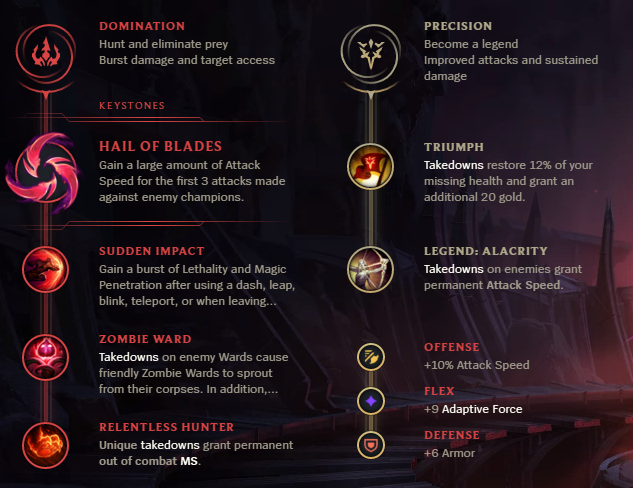 This tank build doesn't eliminate his killing potential as a result of the damage runes, and building this way gives him the ability to be an even tankier front line than ever before.